The Tally Ho: Who What When Where Why? 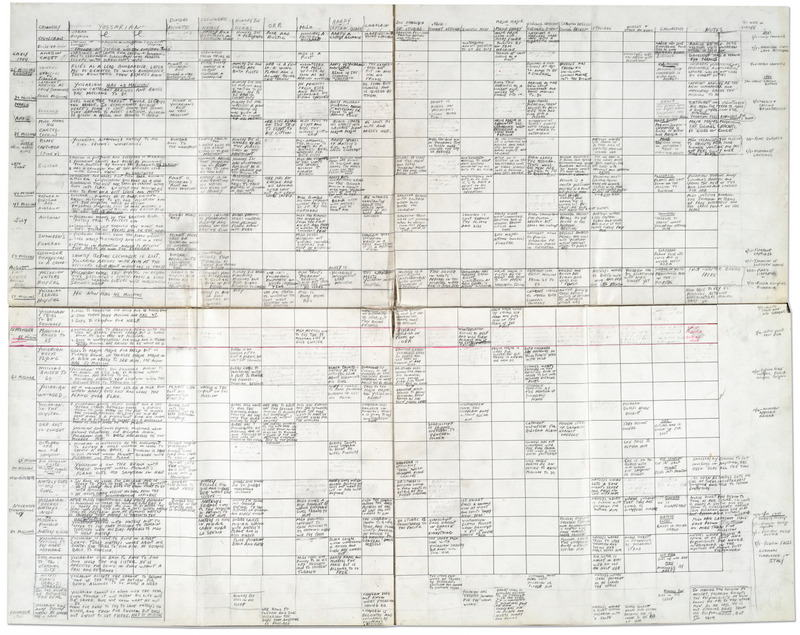 Hand-written outline of Catch-22 by Joseph Heller, detailing characters, significant plot points, locales and times. A thing of beauty and wonder.